Learn the basics and get comfortable on a board. Learn essential rescues and build confidence in the water. Want to gain the necessary skill and experience to pilot a kayak or stand up paddleboard by yourself? 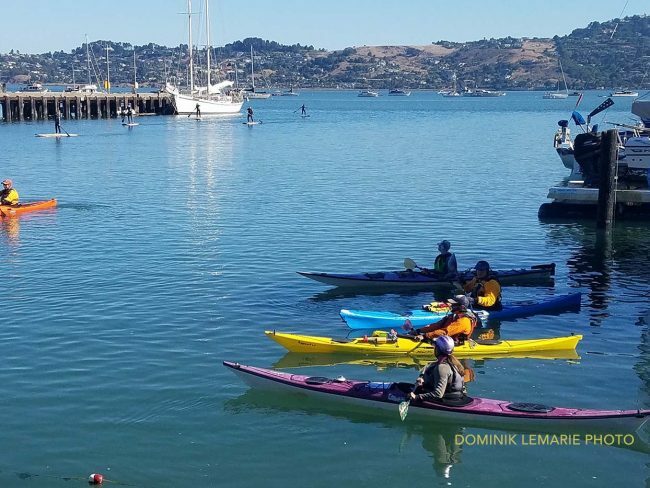 Sea Trek offers several types of classes for both kayakers and stand up paddlers, catering to a variety of skill levels. We have excellent instructors who get plenty of one-on-one time with each student, and we have plenty of equipment for you to use. Sit-on-top kayaks are an easy way to get on the water and enjoy a paddling adventure. In this class we’ll practice all the basic strokes, review safety concerns, tides/currents and weather. Short kayak tour included. Gain the skills and confidence to get in the water and start paddling your kayak on your own. 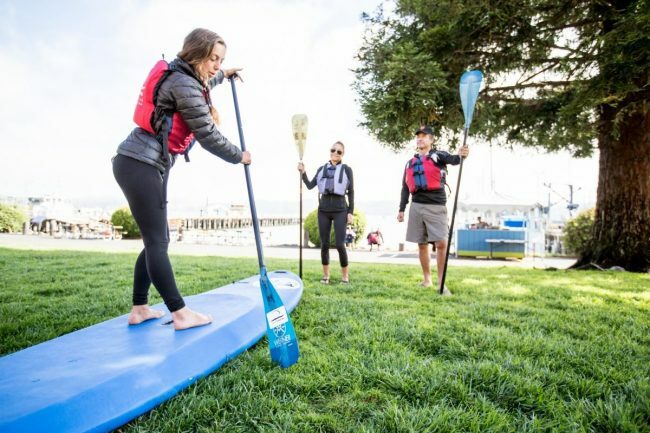 Learn the basics of stand up paddling. Learn how to stand up on your board, basic paddling techniques. 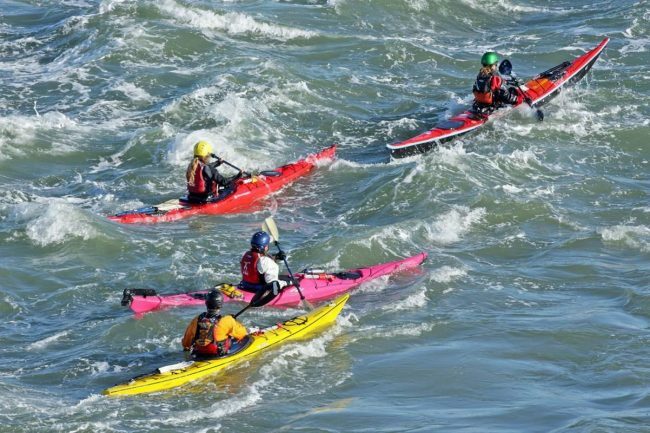 Practice your Sea Kayak rescues in this class and enhance your on water safety. 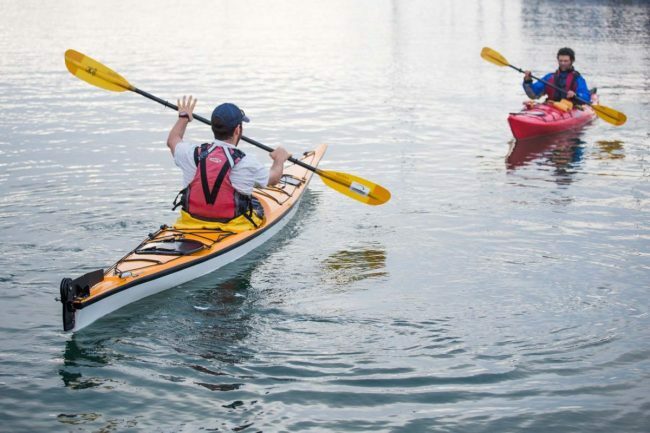 Learn some of the finer points of kayaking, new strokes, boat handling and maneuvering. 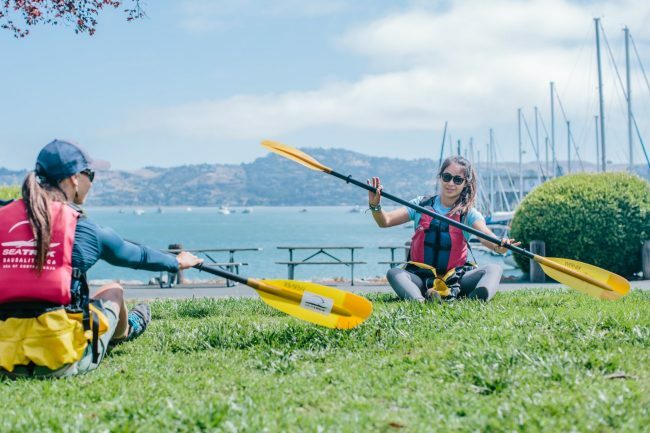 Cross the bay to Angel Island, where you can work on braces, rescues, navigation, and more. 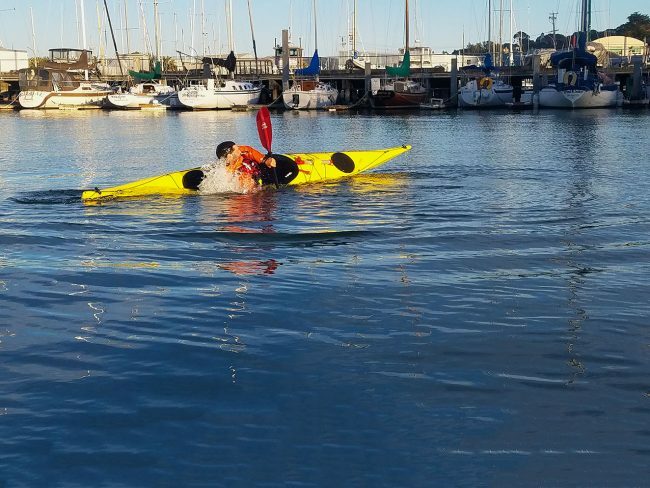 Sign up for all three kayak classes (Introductory, Intermediate, Advanced) and get a discount! 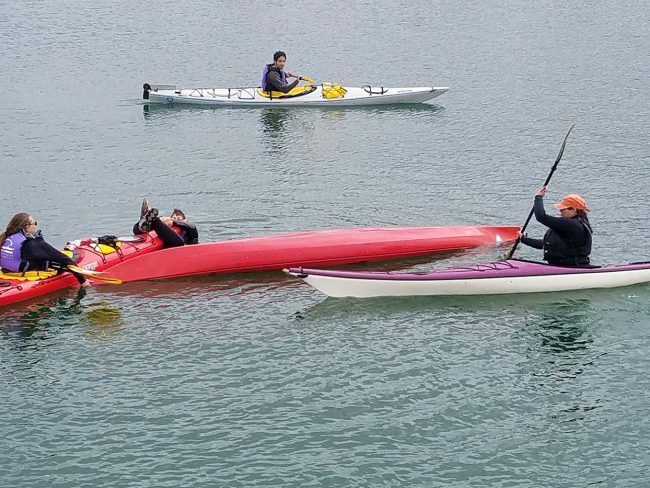 Rolling your kayak when it gets overturned is a useful advanced skill! Learn how to do it here. 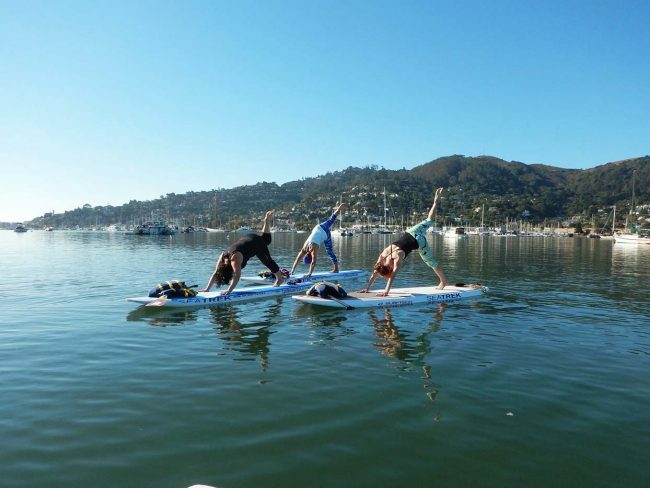 Practice Yoga on a Stand Up Paddleboard in the San Francisco Bay.